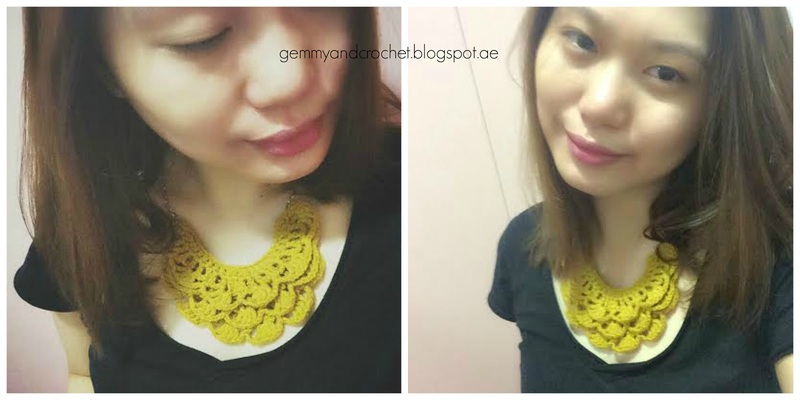 While thinking of what to crochet next, I remember a month ago I wanted to have my own crochet bib necklace. 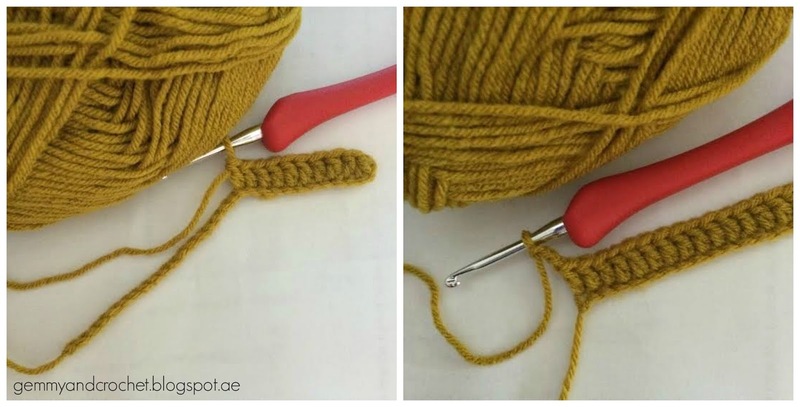 Actually I already tried it before but maybe because I am still learning to crochet it was not easy for me. So I tried it once again. 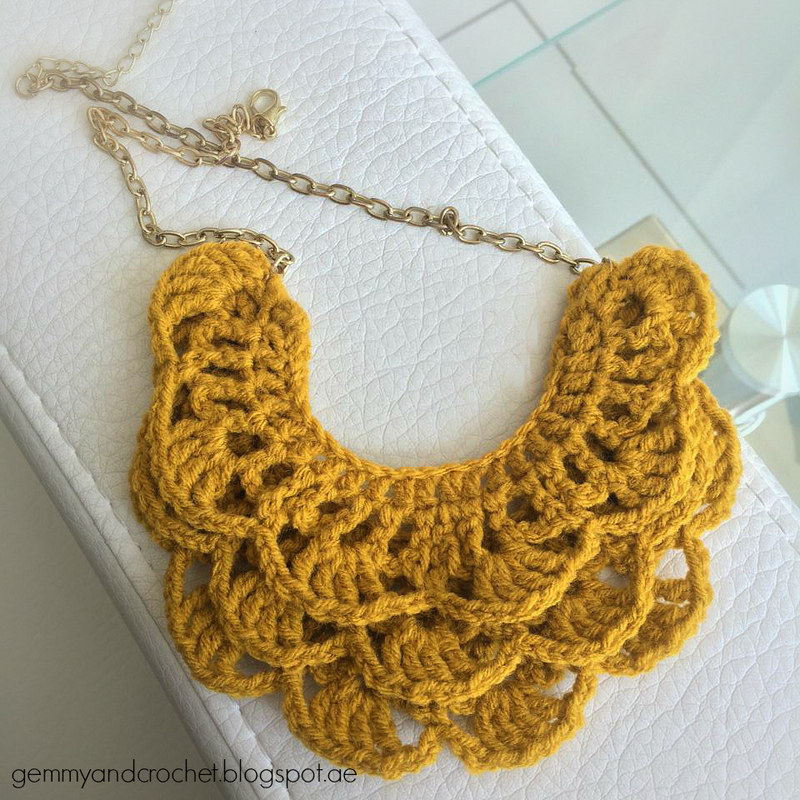 Obviously I'm into jewelry crochets and ruffles so this necklace is so perfect for me. 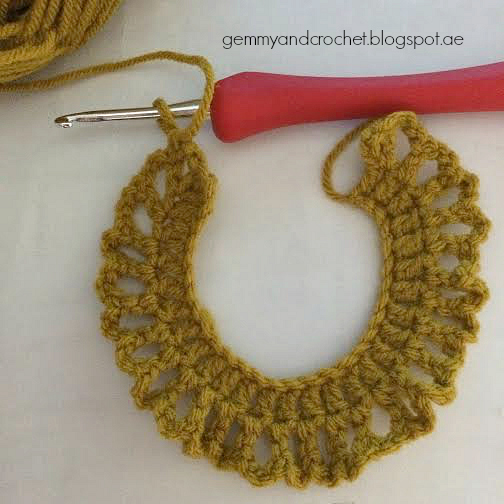 I used mustard color for my cotton yarn and 3mm hook. I find it easy to mix and match on clothes but still planning to crochet other colors. This bib necklace has 3 layers. First layer: 33 chain stitches, second: 29 chain stitches and third: 25 chain stitches. First I crochet series of chain stitches. Then a row of double crochet (DC on the third stitch from the hook). Chain 3 stitches. Turn your work. Double crochet in the next stitch. 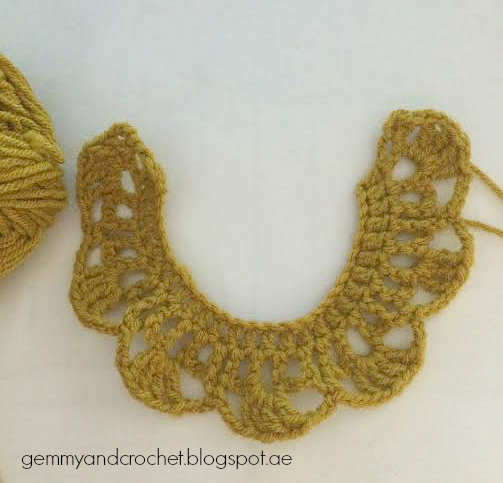 Chain three, double crochet in the next stitch. Do the same for the entire row. Last row: Chain 3, double crochet in the same stitch. For the first loop, I made treble crochet, chain 1, treble crochet, treble crochet, chain 1 and treble crochet. Chain 3. 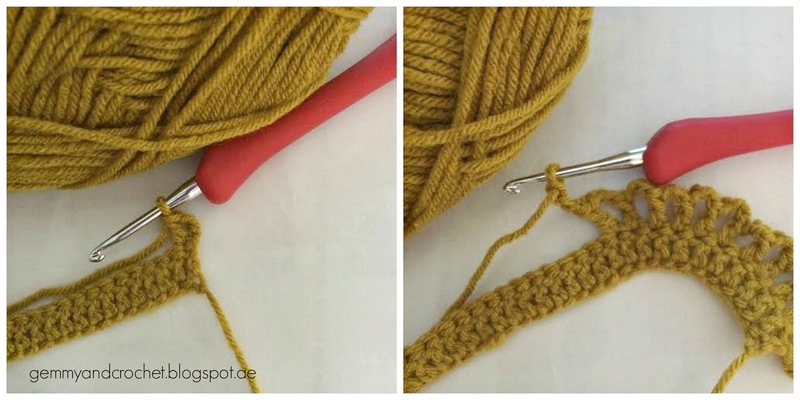 SKIP ONE LOOP and single crochet. Skip one loop. 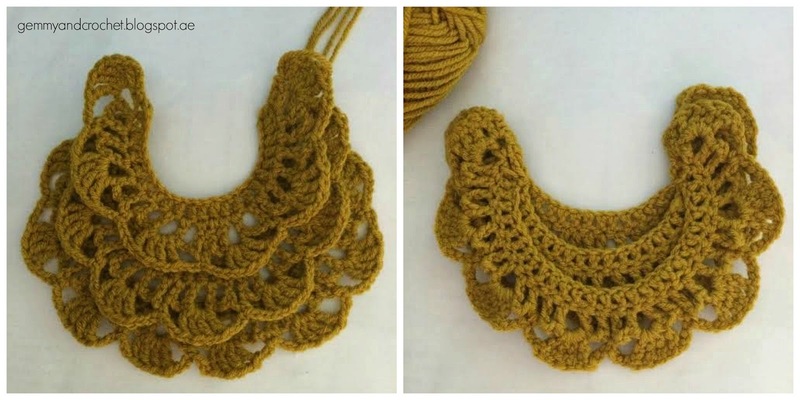 Chain 3. treble crochet, Chain 1, treble crochet, treble crochet, chain 1 and treble crochet. Repeat the step for this row. 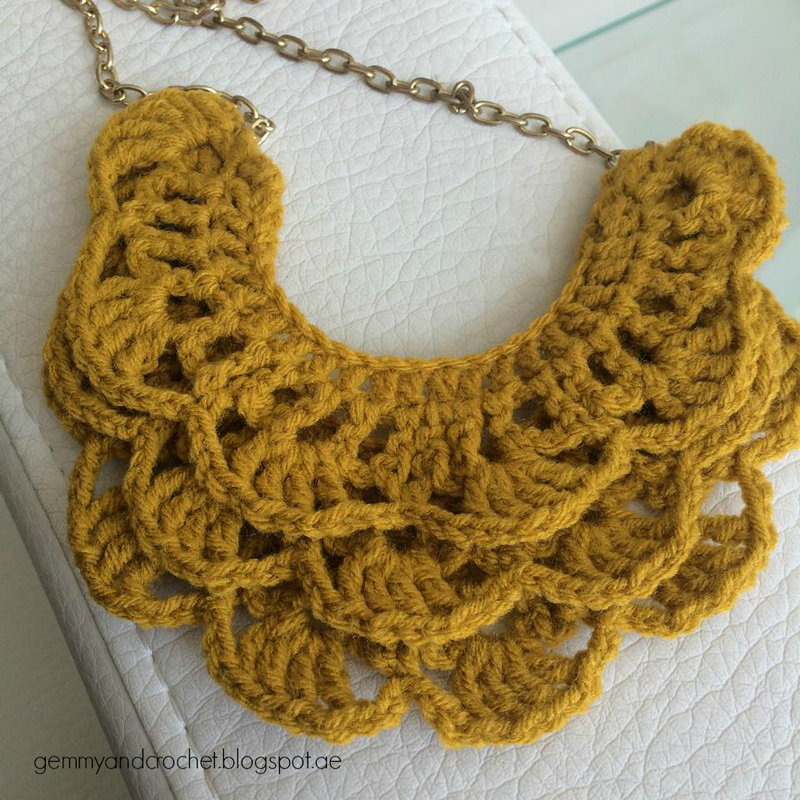 Note: In the free pattern, Stefanie used triple crochet. Actually it depends on you. 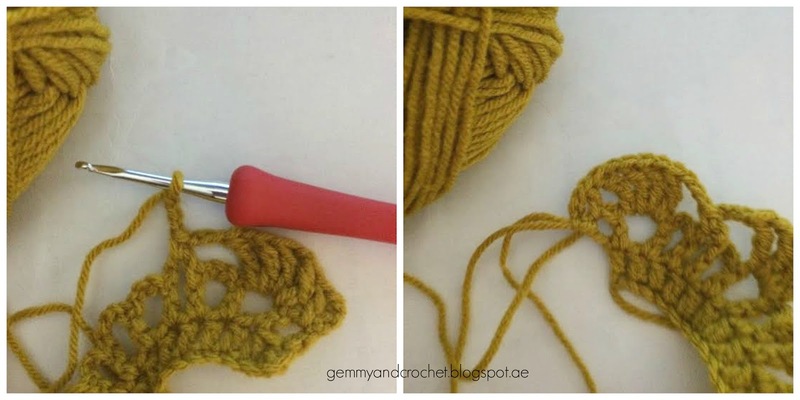 You can use triple or treble crochet. The only difference is the size. Little size change. This pattern is owned by: Stephanie, A common thread. HERE is the direct link for her free pattern. Once you completed them, it is time to layer them on top of each other. Sew them together using a needle yarn. And lastly attach the bib to the chain. And done!! I am wearing my bib necklace!